Affinity For Music is locally owned and operated in Parker, Colorado since 2002 by Tom & Melissa O’Malley. "For a successful event, 50% is great music, the other 50% is event flow and professional coordination. Affinity for Music offers and delivers a unique service for those looking to make one of the most special days in their lives..... truly unforgettable." Owner - Tom O'Malley has a B.A. in Speech Communication from Colorado State University. Before becoming a professional Wedding Photographer and now managing Affinity for Music, Tom had 19 years experience as a professional Wedding DJ, and over five years as a professional on-air radio Disc Jockey. In 2011, Fortune 500 Company Intuit hired Tom to voice their nationwide customer training videos. In addition to DJ'ing, Tom was a professional website designer and Website Design Manager. Owner - Melissa O'Malley has a B.A. in English Literature from Viterbo University. In addition to being a professional Wedding Photographer and managing Affinity for Music, Melissa has 13 years experience as a professional wedding DJ, MC, and wedding coordinator. Melissa has DJ'd, MC'd and coordinated hundreds of high profile weddings. Planning, coordinating and executing weddings and events with professional DJ, Photographer, and Coordinator experience, Melissa is the true wedding expert. We are dedicated to providing the finest in mobile Denver DJ entertainment to each of our clients through excellence in performance and professionalism. We promise to deliver exceptional customer service and performance by exceeding your expectations and making your event unforgettable. Lead DJ/MC - Corey has been with Affinity for Music since the beginning in 2002. Lead DJ/MC - Amy has been with Affinity for Music since 2014. Lead DJ/MC - Micah has been with Affinity for Music since 2010. Lead DJ/MC - Dominique has been with Affinity for Music since 2010. DJ/MC - Paula has been with Affinity for Music since 2008. DJ/MC - Justin has been with Affinity for Music since 2009. DJ/MC assistant - Stephanie has been with Affinity for Music since 2008. COPYRIGHT © 2015 AFFINITY FOR MUSIC: DENVER DJ. ALL RIGHTS RESERVED. For the best Dever wedding DJ services, look no futher than Affinity For Music! 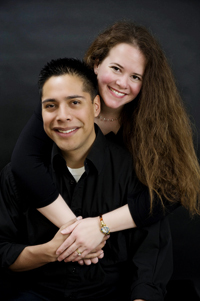 Affinity for Music is a Denver Wedding DJ company locally owned and operated in Parker, Colorado. We specialize in Colorado Weddings, Corporate Events, and Private Parties, School dances and other special events. . We always send a DJ/MC team of two to every event which provides you with event coordination that other DJ companies can't provide. Owners Tom and Melissa O'Malley get to know all your reception needs and details so you can enjoy your day. With over 18 years of experience, rest assured your won't have to worry about a thing on your special day. We provide microphones, free reception coordination, lights to accompany the dancing, and access to a library of over 50,000 songs. Plus, clients are given access to our convenient online planning center! Service area includes the Denver Colorado Metro Area and Denver suburbs such as: Denver, Boulder, Colorado Springs, Fort Collins, Estes Park, Castle Rock, Parker, Lone Tree, Littleton, Highlands Ranch, Lakewood, Aurora, Centennial, Englewood, Golden, Evergreen, Lyons, Sedalia, Elizabeth, Kiowa, Larkspur, Morrison, Arvada, Northglenn, Westminster, Broomfield, Loveland, Genessee and more. For the best Colorado DJ, call for a specifc location inquiry. Affinity For Music is proud to now offer LED uplights and uplighting. We use wireless, LED, lights that can transform any room. Custom gobo wedding monograms also available. Affinity for Music is your Denver uplights and Denver uplighting and Denver wedding monogram specialists! Affinity For Music works with you to help create your custom wedding monogram that will add a touch of elegance and class that will separate your wedding from others. Affinity for music offers custom wedding monograms and gobo displays. We are a local Colorado DJ Company with professional wedding DJs. Relax and enjoy your day while we are DJ, MC and coordinator. We specialize in Colorado events and mobile DJ entertainment. 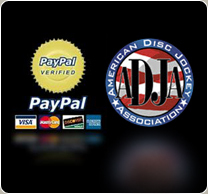 Affinity For Music is a professional Colorado disc jockey service. Affinity For Music is your best DJ, best wedding DJ for your special day. We love helping create, capture and memories which is why we love doing what we do since 2002. 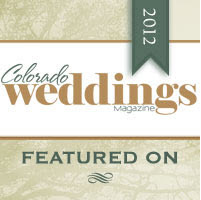 Affinity is a full-time, full service Denver wedding and event company! New for 2015 we are now offering Photo Booth Services!